 孙君顶. 基于内容的图像检索技术研究[D]: [博士学位论文]. 西安: 西安电子科技大学, 2005. Hu, W. and Xie, N.H. (2011) A Survey on Visual Content-Based Video Indexing and Retrieval. IEEE Transactions on Systems, Man, and Cybernetics—Part C: Applications and Reviews, 41, 797-819. 冈萨雷斯. 数字图像处理[M]. 北京: 电子工业出版社, 2005. 章毓晋. 图像处理和分析(图像工程上册) [M]. 北京: 清华大学出版社, 2004. 马永波. 基于内容的视频分割与检索技术研究[D]: [硕士学位论文]. 长春: 长春工业大学, 2007. 黎洪松. 数字视频处理[M]. 北京: 北京邮电大学出版社, 2006. Narasimha, R., Savakis, A. and Rao, R.M. (2004) A Neaural Network Approach to Key Frame Extraction. Proceedings of SPIE-IS&T Electronic Imaging Storage and retrieval Methods and Applications for Multimedia, 53, 439-447. 刘洋. 基于内容的视频检索关键技术研究[D]: [硕士学位论文]. 长沙: 湖南大学, 2008. 侯海珍. 基于内容的视频检索方法研究[D]: [硕士学位论文]. 重庆: 重庆大学, 2009. 滑勇. 基于关键帧的视频内容检索问题的研究[D]: [硕士学位论文]. 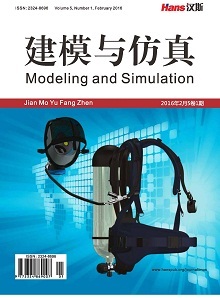 大连: 大连理工大学, 2005: 18-20. 陆伟艳, 夏定元, 刘毅. 基于内容的视频检索的关键帧提取[J]. 微计算机信息, 2007, 23(33): 298-300. 周政, 刘俊义, 马林华, 等. 视频内容分析技术[J]. 计算机工程与设计, 2008, 29(7): 1766-1769. 季春. 基于内容的视频检索中的关键帧提取技术[J]. 情报杂志, 2006(11): 116-119. Liu, T.M. 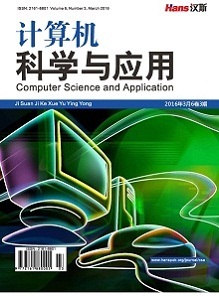 and Zhang, M. (2003) A Novel Video Key-Frame-Extraction Algorithm Based on Perceived Motion Energy Model. IEEE Transactions on Circuits and Systems for Video Technology, 13, 1006-1013.